SBO’s team of sports betting experts bring you the definitive guide to football betting. We take winning on football seriously, leaving no stone unturned in our quest to beat the bookies and make a regular income from the beautiful game. Whether you’re new to gambling on football or a seasoned punter, you’ll find football betting tips and expert advice right here to help you refine your betting skills and become a successful gambler. We scan the market for the latest free bets and promotions, we review every online bookmaker to find the best betting sites, and we earmark the rogue bookies so you know who to avoid. We also offer football betting strategies and detailed staking systems to help you master the art of making money from football. Start winning today with our top-rated football betting sites. 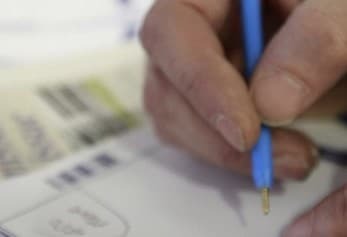 You might be a fan who’s new to football betting and trying to take advantage of your love of the game, or you might be a fully-fledged punter looking to learn the finer points of systems like the Poisson Distribution. Either way, you’ll find a wealth of information at your fingertips to improve your betting and increase your profit. Some studies estimate that football accounts for up to 70% of the global sports betting market, making it by far the most popular sport to bet on. With such huge figures involved, online betting sites compete to win customers and take a slice of the business. To attract new players, the bookies try to stand out by offering the best odds, the most varied range of betting markets, and the biggest bonuses. 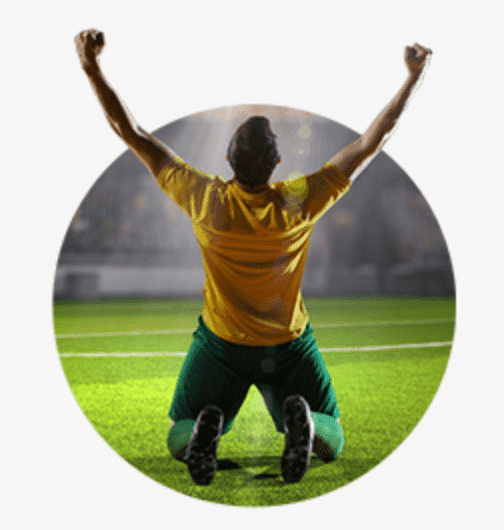 That’s good for us because it means we can look for the best value odds to increase profits, take advantage of generous welcome offers and free bets, and test our skill on a range of betting markets like corners, bookings, and throw-ins. If you’re confused by the jargon and don’t know your Asian handicap from your double chance, fear not! We’ve got a detailed breakdown of the different types of betting markets to help you pick out the best bets. Otherwise known as win, lose or draw, this is a straight bet on the home win (1), the draw (X), or the away win (2). Don’t forget that this market is for 90 minutes only, so if you’re betting on cup matches, extra-time doesn’t count. A football match has three possible outcomes, and the double chance means you can back two of the three. Usually, this means tipping a team to win or draw, but you can also back home or away win – so that if either team wins, you land the bet. Here you’re betting on whether there will be over or under 2.5 goals in the match (2-0 is under; 2-1 is over). On high-profile matches, bookmakers extend this to over/under 1.5 goals, 3.5 goals, and so on. Many bookmakers also create markets for over/under corners, cards, and even goal kicks and throw-ins. A bet on which team or individual player will score the first goal in the match. This is betting on the exact score of the match. It’s harder to predict, but big winnings await the punter who can correctly guess the score of the game. A bet on the correct result both at half-time in the match and full-time. This market also offers bigger winnings, but both results must be correct for your bet to pay out. The Asian handicap is an increasingly popular bet because it removes the possibility of the draw. One side is given a handicap – such as minus 0.5 goals – and the prices for each team are calculated on that basis. The handicap is added to the final score for the purpose of settling the bet. Gone are the days when you had to place a bet before the match and hope for the best. In-play betting allows you to place bets on a range of markets at any time during the game while it is in progress. This is just a snapshot of the types of bets you can place on football. Most bookmakers offer over one hundred different betting markets on top-level games, giving you the chance to bet on everything from corners to throw-ins to yellow cards. Professional punters are all too aware that no matter how good you are, nobody wins every single bet. That’s why shopping around for the best odds is a vital weapon in your betting armoury. You’ll notice that our tips include the betting site with the best price for every selection. By taking the best value on every bet, you’ll boost your long-term profits. Odds are usually represented in either fractional or decimal format. Pick the style you’re used to and stick to it, so you can quickly assess the betting at a glance. Taking the best available odds for every bet you place means that every winner returns the maximum possible profit. In your battle against the bookmakers, this simple practice can make the difference between success and failure. We recommend opening accounts with a range of betting sites – this way, you can access the best prices every time you place a bet. One quick method of working out value is to estimate the odds of a match before checking the bookmakers’ markets. If you think the probability of a team winning is greater than the price set by the bookies, then congratulations, you’ve found the value. Betting sites use sophisticated algorithms and statistics to calculate their odds, but there is no substitute for real knowledge of the team, the squad, the league, and the opposition. This is one way you can gain a real edge over the bookies. Don’t forget the draw. Most punters bet because they have a clear idea of who they think will win a certain match. The bookmakers know this and factor it into their prices when they set the odds, and that means there is often value to be found in the draw. Over the last ten years in English football, 27% of games have ended all square. That percentage rises when you take into account low-scoring sides that are more likely to share the points. Avoid massive accumulators. A fourteen-fold bet could return hundreds of thousands and change your life. But realistically, the chances of landing a gamble like that are minimal because just one loser blows the bet. Accumulators can be great fun and offer the chance of big wins for small stakes, but it’s best to stick to five or six teams at most to give yourself a shot at scooping a tasty profit. If you’re not keen on research, check out our football tips pages, where our team of experts pick out their best bets in the top leagues every week. We cover all the top domestic leagues, European competitions and international tournaments, using in-depth analysis to find the best value bets in every competition. The big four European leagues are the English Premier League, Spain’s La Liga, Italy’s Serie A, and the German Bundesliga – closely followed by France’s Ligue 1, which continues to grow in popularity. These leagues are covered every week by our tipsters in the football betting tips section. Over and above domestic leagues is the pinnacle of European football, the Champions League. The best players in the world and the biggest teams on the continent battle for the most important trophy in club football every season. The Europa league, often framed as Europe’s secondary competition, is also hugely competitive and you’ll find tips for both throughout the season from our football experts. Held every four years, the World Cup attracts larger global audiences than any other sporting event, and millions of pounds will be staked throughout the tournament. This is also a great opportunity to look out for free bets and special offers as bookmakers lay out the red carpet for new customers. Held every four years alternate to the World Cup, “The Euros” is the next biggest international tournament for European national teams. Better TV coverage and the influx of players into Europe has also seen a rise in interest in the COPA America and Africa Cup of Nations. It’s important to bet at secure sites because, ultimately, you want to know that both your money and personal information are safe, and that your winnings will be paid promptly. We only recommend betting sites which are fully licensed and regulated, and have a good track record of customer service and fast payouts. Banking and payment methods are other factors to consider. Each of our reviews details which payment types the betting site accepts, so you instantly know whether you’re eligible to bet there. We’ve also got a section dedicated to Paypal betting sites. Fast withdrawals are essential for some bettors. If you want access to your money quickly, make sure you choose a betting site with a record of paying out within 24 hours or less. Almost all betting sites offer a welcome bonus, usually by matching your first deposit with bonus funds. Beyond the initial offer, you should also look out for bookmakers who run regular promotions, offer regular free bets, and provide enhanced odds on various bets. Not all betting sites provide live in-play betting. If you like to bet on the fly, make sure you choose bookmakers which accept in-play bets on a range of different markets. Live betting is one of the best ways to get an edge over the bookies because you have the advantage of watching the match unfold and betting on the action as it happens. 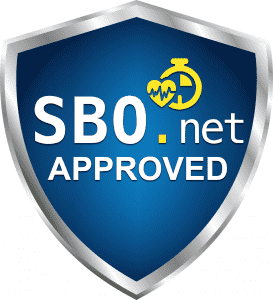 Why Trust the Team at SBO? Winning money on football betting is about more than just picking the right teams in the right matches. You also need to find the best prices and the best places to bet. We pride ourselves on independent and up-to-date information so you can be confident that you’re getting the best advice on football and online betting. Our team of experts provide daily football betting tips, in-depth betting analysis, and the best free bet offers and promotions. When you sign up to one of our featured sites, you can relax in the knowledge that you’re getting the best value odds and the best bonuses from a trusted bookmaker. 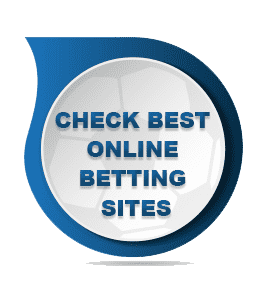 We conduct independent, unbiased reviews, and every new betting site is thoroughly checked for security, software, and licensing before earning our recommendation. Through a combination of our own research and user feedback, we keep our finger on the pulse to maintain a blacklist of betting sites that are known to be rogue operators. You love to watch football, you’ve got great knowledge of the game, and you want to turn that knowledge into money by betting on football. 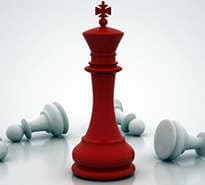 You relish the battle to beat the bookies, and you’re ready to become a winner and start counting the cash. It’s time to boss the betting game, sign up to the best betting sites, follow our tips and advice, and start making money! Get started today with our top-rated football betting sites. Which sites are best for betting on football? Most major betting sites offer odds on football matches, but there’s a world of difference between the types of bets each site offers and the prices they set for each betting market. We review every sports betting site to assess which bookies are best for betting on football, which means you can simply follow the advice on SBO to make sure you get the most for your money. How can I win money from football betting? There are no guarantees, but by following the right tactics and strategy, you can easily win money by betting on football. Join some of our featured betting sites so you know you're getting the best deals. Use your own in-depth football knowledge to pick out the best bets or follow our successful football betting tips. Shop around different bookmakers to find the best odds to make the most of your winners, and never get tempted to chase after lost money by rushing into bad bets. Follow a sensible staking plan so you don't overstretch, and keep a record of your bets to be able to work out which markets are most profitable. 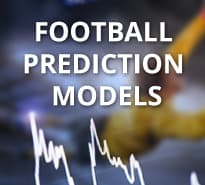 Where can I find the best football odds? We recommend opening accounts with our top-rated bookmakers, all of which have been hand-picked for football betting. Then, you can simply check which bookie will give you the best returns on your bets and maximise your profit. How can I bet on the Champions League? Almost all major sports betting sites will offer odds on the Champions League, ranging from individual match bets to group winners, to the outright winner of the trophy. 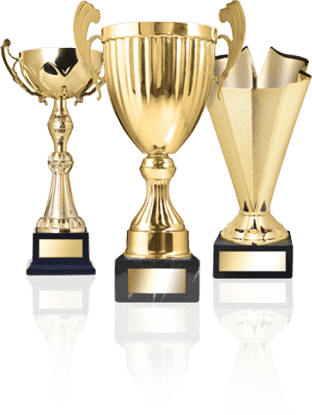 We'll have details of the best free bets and promotions for the duration of the season, as well as regular football betting tips throughout the competition to help you make big profits on the tournament.